“One for all, all for one!” – is the title of the prayer action on the occasion of the 5th anniversary of the pontificate of Pope Francis. “I encourage you to join this prayer chain”, said Archbishop Gądecki. The community of the Lednica Movement encourages to join the prayer chain that will surround Pope Francis on the 5th anniversary of his pontificate. The initiative planned for 11 March is a response to the Holy Father’s call to pray for him. The honorary patronage was granted by the President of the Polish Bishops’ Conference, Archbishop Stanisław Gądecki. In March 2018 we celebrate the 5th anniversary of the pontificate of the Pope Francis. Over 25 organized groups and dozens of people all over Poland have declared that on Sunday, 11 March, they will pray for Pope Francis. Participants of the action will build a prayer chain that will surround the Pope. This is the answer to the Holy Father’s call to pray for him. The initiator of the campaign is Rafał Orzechowski, a member of the Lednica Movement in Grajewo, who had the opportunity to meet the Holy Father in 2017. During the passing on of WYD symbols by Poles to the youth of Panama, the Pope said to him: “I pray for you, and you pray for me”. “I consider this agreement to be binding”, said Rafał Orzechowski, inviting him to join in the prayer for the Holy Father. “It is certainly a beautiful initiative, which implies the possibility of various forms of prayer, including the Chaplet of the Divine Mercy, or other types of prayers, which are intended to surround the ministry and the person of the Holy Father. It does not have to be limited to Sunday 11. One can always pray for the Pope. On March 13, on the day of the election of Pope Francis, the entire Polish Bishops’ Conference will pray for the Pope in the Temple of Divine Providence in Warsaw. I encourage you to join this prayer chain that connects bishops, priests, consecrated persons and lay faithful” – said Archbishop Stanisław Gądecki, President of the Polish Bishops’ Conference. 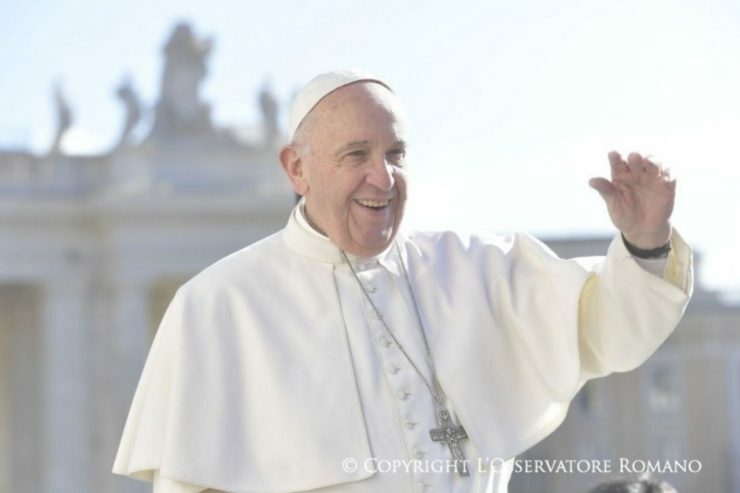 The prayer for Pope Francis on Sunday, March 11, is already planned, among others in Warsaw, Cracow, Gniezno, Poznań. “You can pray anywhere – in the church, school, park. It is important to surround this beloved Pope with prayer” – encourages the initiators of the action. They propose to pray on that day the Chaplet of the Divine Mercy for Pope Francis.